With the sun setting at 8pm during Cape Town’s summer months, those golden hours between day and night are extended and people can gather to appreciate the impressive seascape vistas with a drink in hand. Sun, sea and fantastic cocktails… what more could you ask for in a romantic evening? 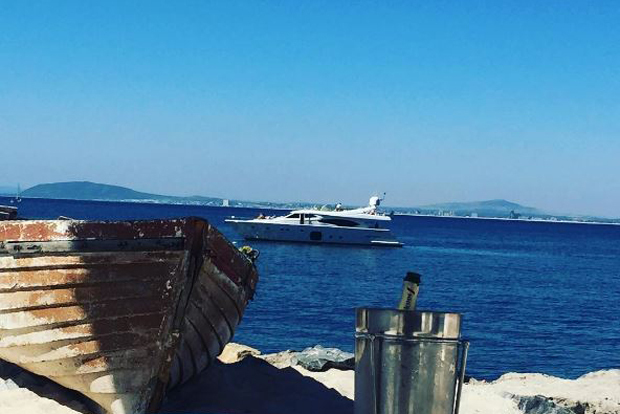 Head onto Cheapflights.co.za to search for flights to Cape Town and then take a look at these six spots for sundowner dates this summer. Located just beyond the iconic V&A Waterfront and right on Table Bay, this is a great spot to soak up the last of the summer rays. Since opening its doors in December 2009, this much-loved restaurant and nightspot fast became the place to eat, drink and be seen in Cape Town and has seen countless happy patrons. Now emerging from a three-month refurbishment, The Grand Café & Beach is displaying a new energy and appeal. Set within a restored warehouse and drawing inspiration from the surrounds, the Beach Café menu focuses on the freshest possible produce with an emphasis on seafood. Enjoy the wooden deck and private beach as you watch the light soften over the ocean. One of their exotic cocktails is recommended, as it’s bound to match the mood perfectly as you sit with your feet in the sand. The Roundhouse is known to offer a taste experience like no other, with each dish on their innovative menu carefully crafted using only local produce with finishing touches from their own garden. 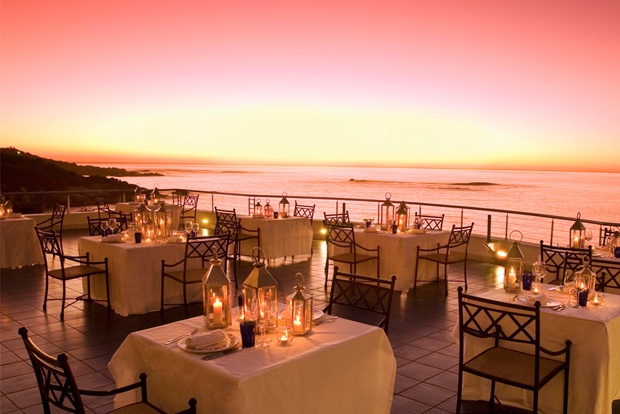 It’s also ideal for sundowners, and you can take to the lawns to enjoy the views across the much loved Camps Bay Beach. Don’t be surprised if conversation is halted to give undivided attention to the sun sinking below the Atlantic. 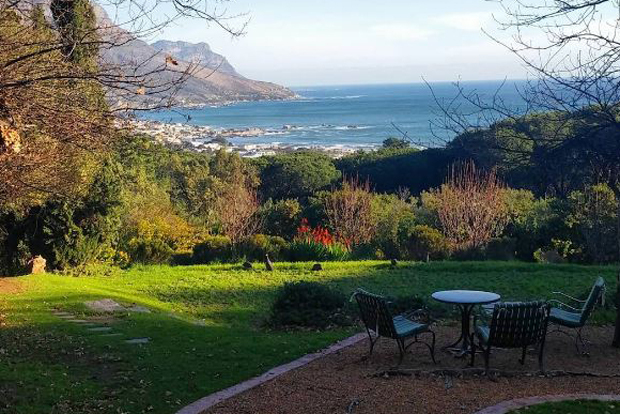 Located right on the Atlantic Ocean, with not even a road or building between you and big blue sea, The Bungalow lets you enjoy an uninterrupted view of the sunset, mountains and sea views. It’s a great people-watching spot and the cocktail menu is worthy of in-depth exploration, as you recline on plush white couches and day beds. The Twelve Apostles Hotel offers an indulgent luxury that inspires you to dress up for an occasion. Their Leopard Bar is extremely popular with locals as well as international guests, and their fully stocked bar and varied cocktail menu will spoil you for choice. It’s recommended that you find a good spot on the terrace from which to watch the setting sun – it is truly mesmerising. 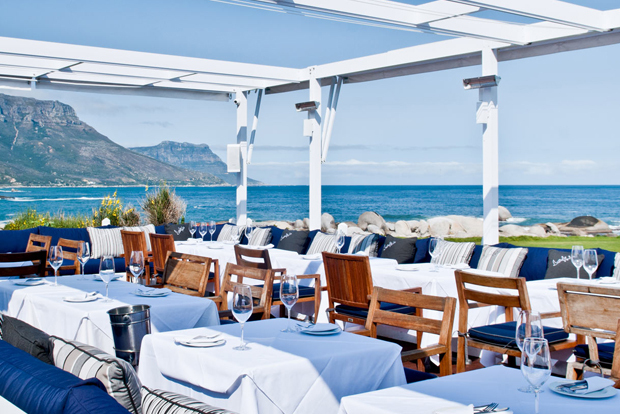 Located along Cape Town’s Sea Point promenade at the historic Winchester Mansions, this elegant eatery boasts a sea-facing terrace that’s perfect for savouring sundowners. In addition to an assortment of sweet and savoury snacks, the bar serves up a medley of unique cocktails that attracts many locals to watch the horizon turn spectacular shades of pink and orange. The terrace offers an excellent vantage point, with views towards the promenade. 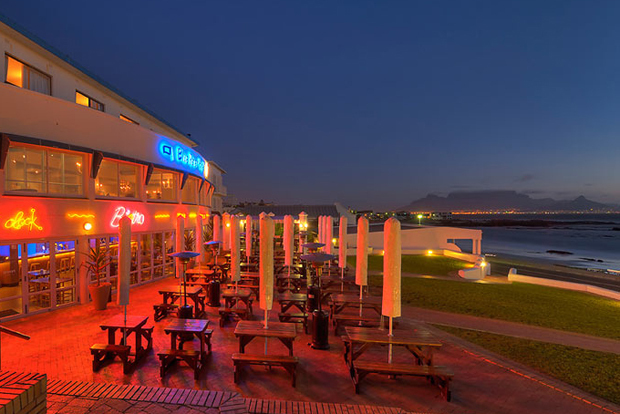 The Bloubergstrand side of the city offers a more laid-back setting. The Blue Peter’s picnic tables, umbrellas and lawns, create a welcome holiday feeling that is revered by locals, surfers and sun worshippers who are drawn here en-masse. 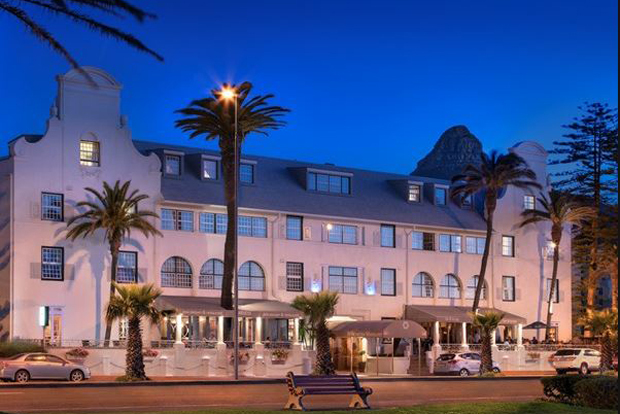 Saying that, what really sets The Blue Peter Hotel apart is the view it enjoys of Table Mountain. The iconic landmark cuts an impressive silhouette on the horizon, whatever the weather. Blouberg beach also has spectacular views of Robben Island and has become a mecca for kite surfers. The Lighthouse Bar has a full selection of both local and international beverages while the Lower Deck Bistro offers a more casual environment, with a ‘just-off-the-beach’ vibe.